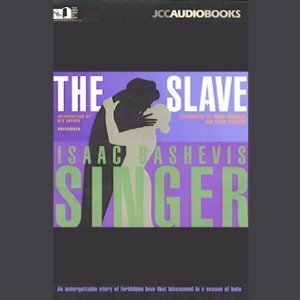 The Slave is Singer's world famous novel about a passionate, forbidden love affair between Jew and Gentile in 17th century Poland. "David Chandler and Tracy Sallows are flawless as they infuse the characters with intensity and conviction that seem to derive directly from Singer. Chandler provides Jacob with the ideal mix of indignation and righteousness, whether he endures scorn, accepts reverence for his knowledge, or suffers from tragedy. THE SLAVE demonstrates why Singer was awarded the Nobel Prize in Literature."